Do you remember that warm and fuzzy feeling when you discovered a postcard waiting for you in your mailbox? I do. 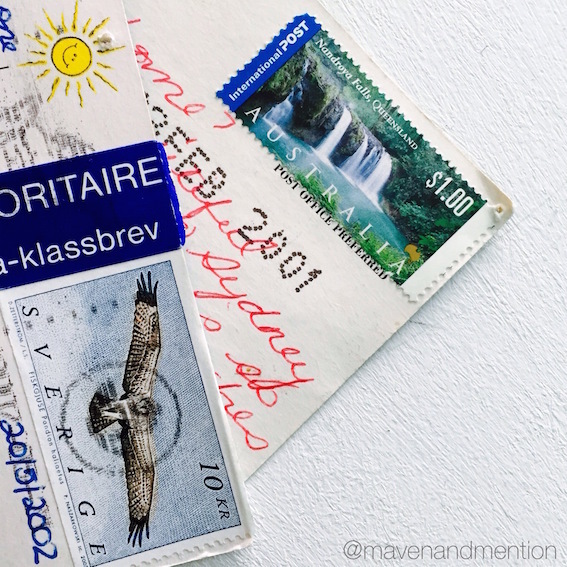 There's something pretty special about getting a postcard in your mailbox from a loved one or friend from afar. The stunning vistas of the majestic Swiss Alps. An iconic shot of a famous historic landmark like the Great Wall. The peaceful ebb and flow of waves on a beach in Costa Rica. The bustling activity and aromas of the spice markets at the Grand Bazaar. Oftentimes, it's a snapshot of a new perspective or place on your travel bucket list. Or it takes you back with nostalgia for a destination you've visited before. You take one look at the postcard image and you know there's a story to be told. You quickly skim past the "Wish you were here" banter and soak in the sights, sounds and tastes described in the quick scribble on the back of the postcard. It's just a few words – maybe 50-75 words at best – but it feels like you've been invited along on the writer's journey to travel and experience new places and new things. It feels authentic and real. It got me thinking about the art of digital storytelling and the importance of speaking from a meaningful place and inviting your audience along on your customer journey. Oftentimes your best content happens when you speak genuinely and authentically from your own experiences – digital postcards, if you will. You create memorable brand experiences for your audience, speak to your subject-matter expertise, perhaps introduce them to like-minded folks in the community, and segue to key milestones along the customer journey and path to purchase. It may be a quick shuttle or a long and winding road – depending on your product, service or industry – but the journey's pace should feel natural and the experience authentic. A great example of digital storytelling is Lowe’s Home Improvement – DIY Basics channel on YouTube. Lowe’s does a stellar job of highlighting its subject-matter expertise and engaging its audience in practical, experiential content on a weekly basis. The quick video vignettes – averaging 60-75sec in duration – feature how-to demos with subtitles and simple instructions for home improvement tasks, while also leveraging YouTube as an engagement channel for Q&A and feedback from customers. Lowe's shares handy and educational content to engage (and grow) its community on social. Looking to craft some compelling content to invite your customers along your journey? Let's chat.